Do you have customers searching for a wireless VoIP solution? 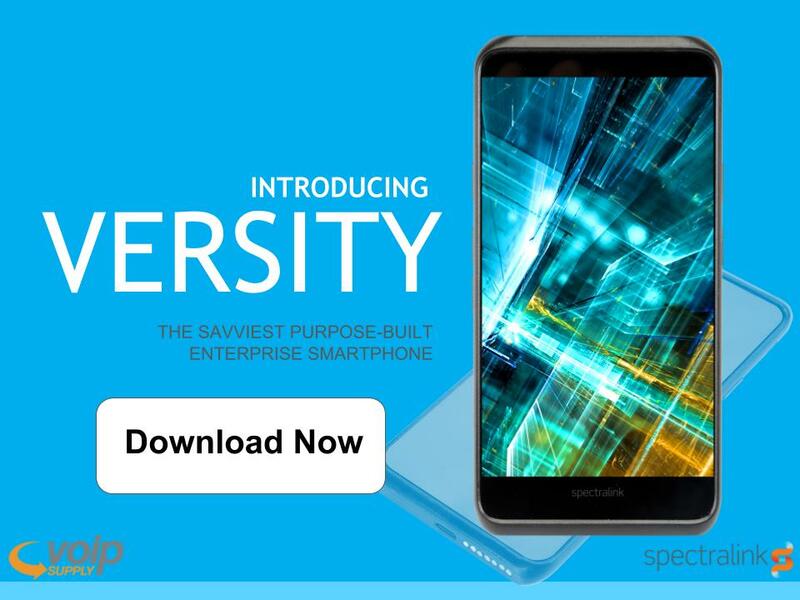 Spectralink and VoIP Supply co-hosted an insightful webinar this week to talk about Spectralink’s latest innovation: the Versity Series enterprise smartphone! During the webinar, we discussed the main challenges customers are facing and how the Spectralink Versity can help them solve issues and become more efficient. Click here to download our presentation slides and check out the Q&A session below to learn more! Q1: How much is Versity? Answer: There are 4 models and they range from MSRP $1,200 to $2,050. Q2: What call servers do we support? Q3: What WiFi networks has Versity been Spectralink VIEW certified? Answer: Versity will work on most enterprise-grade Wi-Fi networks, but we certify networks on behalf of our customers and list them on our support site. Certifications have been completed for Cisco and Aruba APs but please check the VIEW list on our support list for specific AP models and firmware versions. Q4: Does the call drop when moving from Wi-Fi to cellular or vice versa? Answer: Likely yes, this is a function of what network the call server is in and how quickly a connection to the new network and path back to the call server can be established. Q5: Which cellular carriers are supported with Versity LTE? Answer: Versity will have certifications from PTCRB and GCF which should allow customers to get SIM cards from their mobile operator of choice to use in Versity.